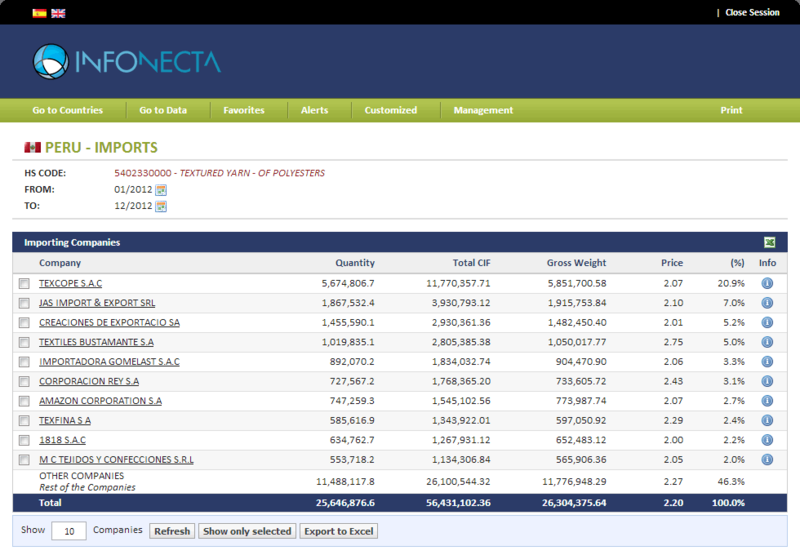 Official trade data of more than 800.000 companies. More info .. 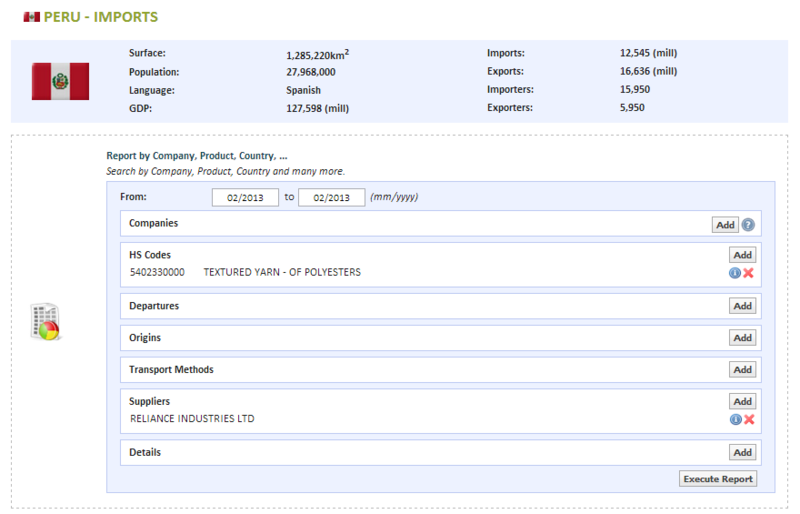 Complete details of every import and export. More info ..
Companies buying the products you offer. More info ..
With our alerts you won't miss any relevant information. More info ..
Don't miss any activity of your customers or competitors. More info .. Which companies sell what you need?. More info ..
Connect today with everything you need to know! 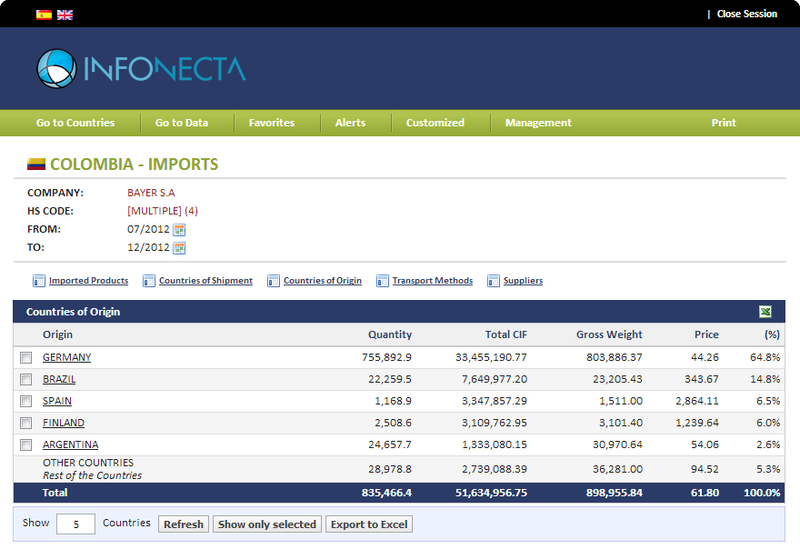 Detailed information of every Import or Export operation of any Company and Product in more than 20 countries! 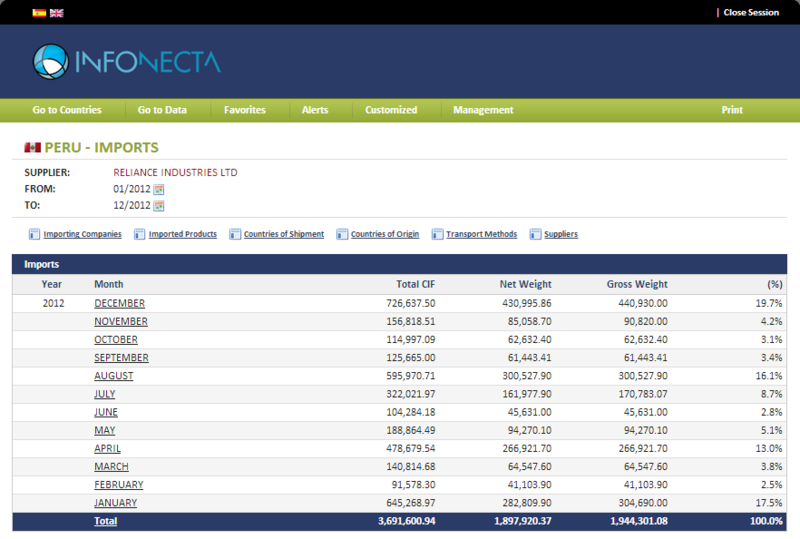 With our database, you will be able to know where your competitors source their products from. 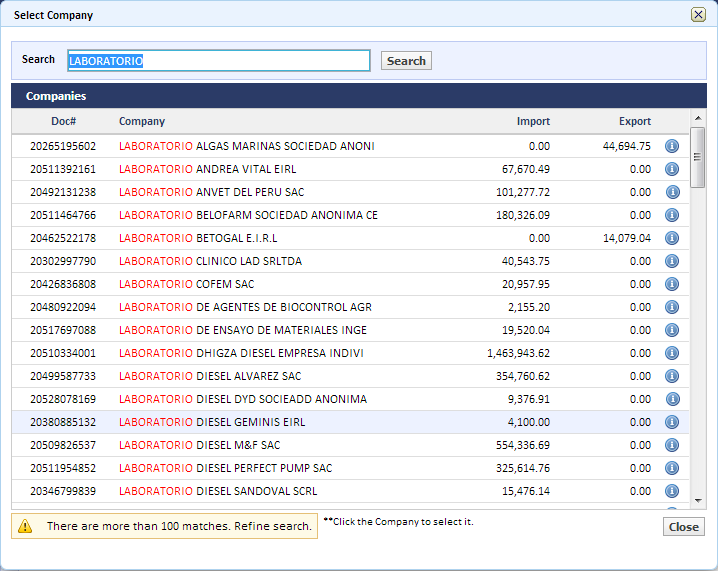 We offer the most accurate data that disclose suppliers, product volumes, and industry trends for Argentina, Brazil, Chile, Colombia, Costa Rica, Ecuador, Mexico, Paraguay, Panama, Peru, Uruguay, Venezuela, United States, Russia, Ukraine, India and many other countries. Having trustworthy suppliers is key. INFONECTA helps you to find them! 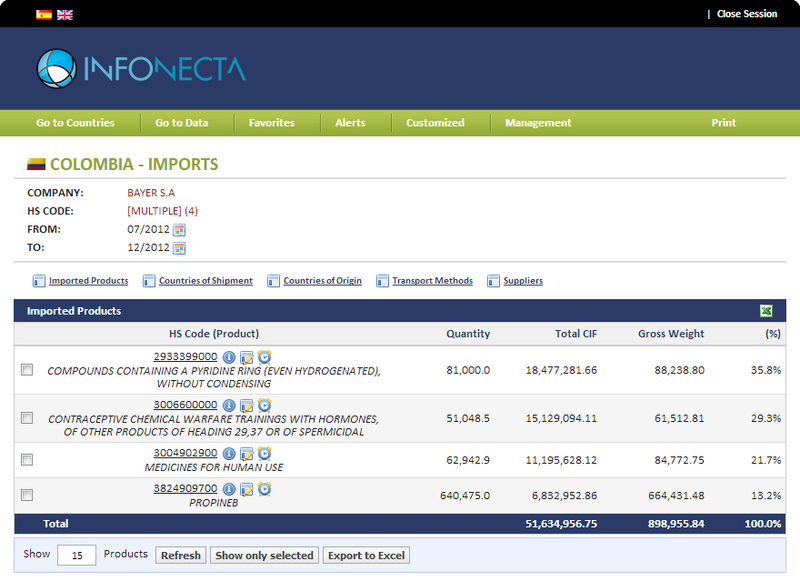 Our databases disclose customers, product lines, and exporting volumes for factories around the world. 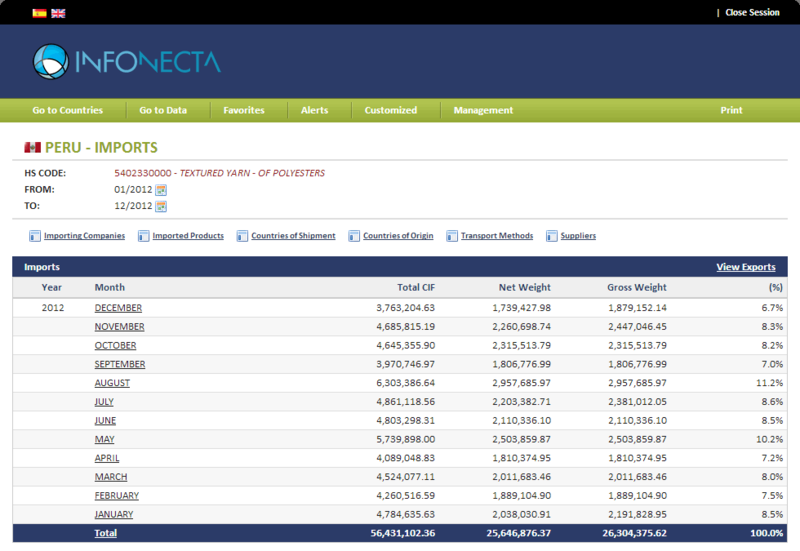 In addition, INFONECTA novel's technology allows our subscribers to keep abreast of specific operations or criteria by creating specific alerts. If you sell products or services to Latina American, Russian or Chinese importers, our datasets allow you qualify prospects based on their Foreign Trade histories. You will be able to, for example, to create alerts on the online subscription which indicate when a specific operation is undertaken such as imports by a specific company of a specific product or exports of certain products to specified countries. INFONECTA has highly qualify team of professionals with solid expertise in foreign trade, development of technological and logistics projects and service commercialization. 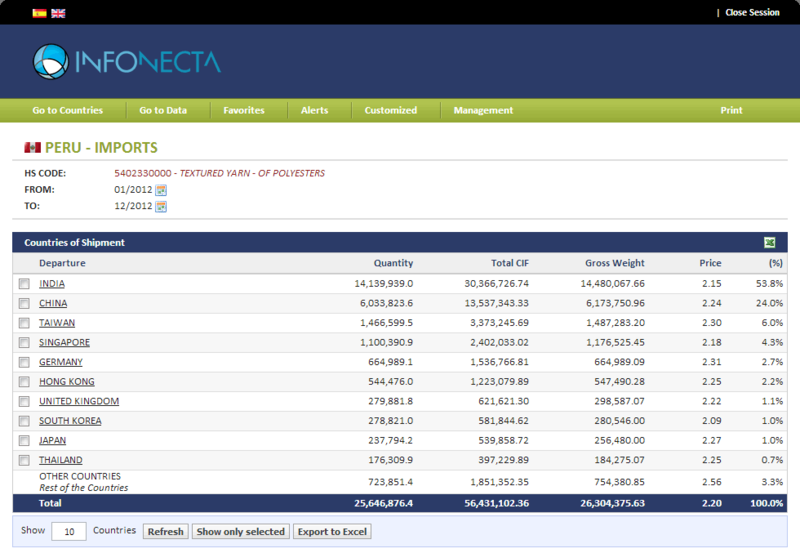 Our combinations of specialized focus, market know-how, and years of experience have resulted in a deep understanding of Foreign Trade Data Reports. More than 800.000 companies in 20 countries! 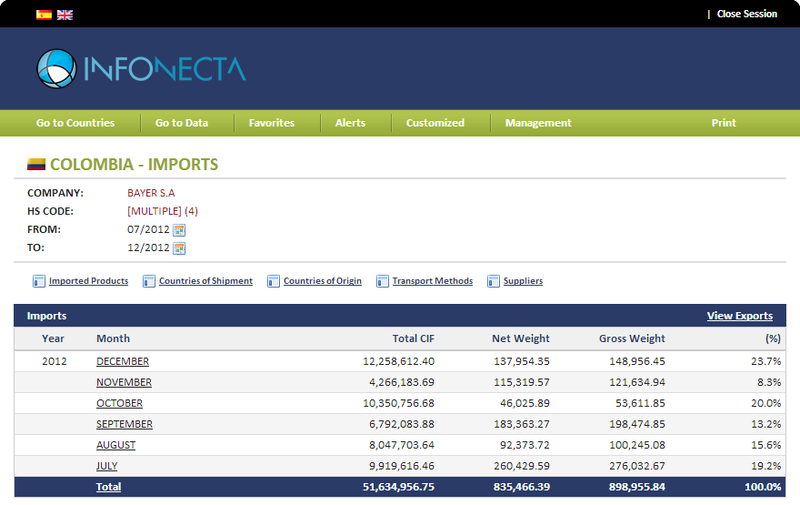 Our database contains official information of more than 800.000 importers, exporters, buyers and suppliers. 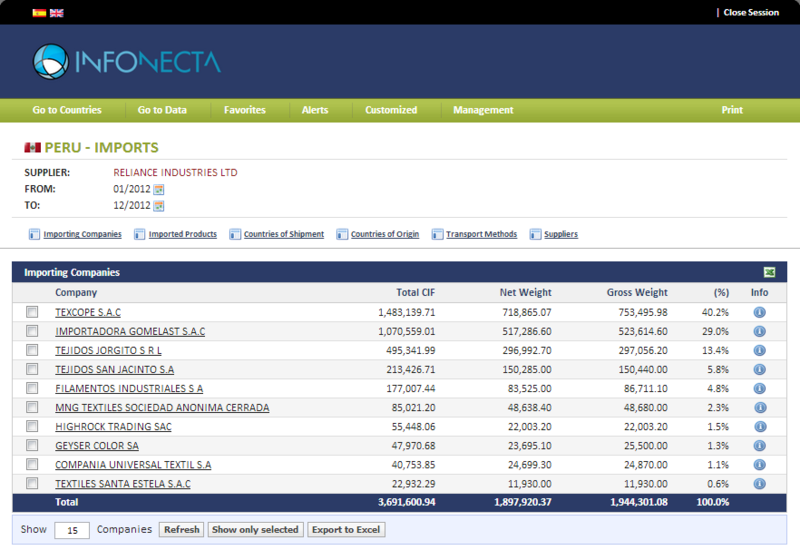 Get full information of any company including ALL its operations. 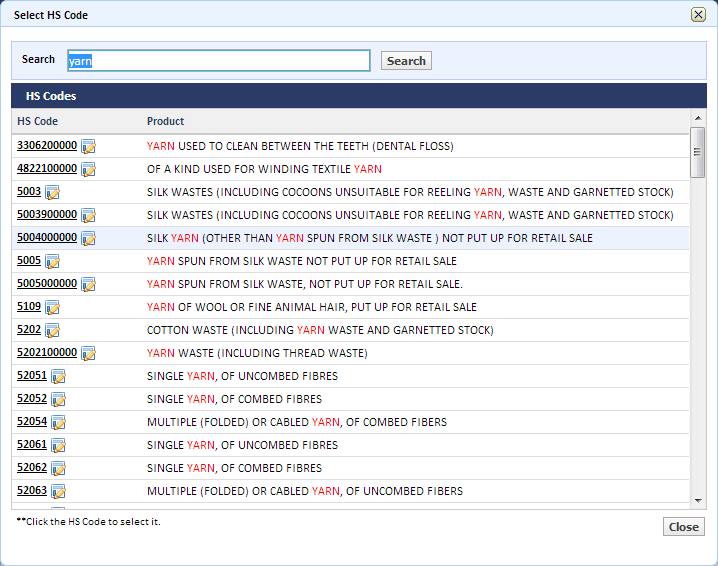 Learn how to identify new Suppliers using our System. See how intuitive it is to find what you're looking for. Keep ahead of your competitors by knowing all about their operations! More than 90 million records of current and historical imports and exports. Enter your email address and we will send you a Demo Login for you to try our System and discover the benefits for your Company. Great service! Tracking our competitors has never been so easy – I would highly recommend this service! The Market Analysis of our product was impressive. It helped us take some very good decisions! 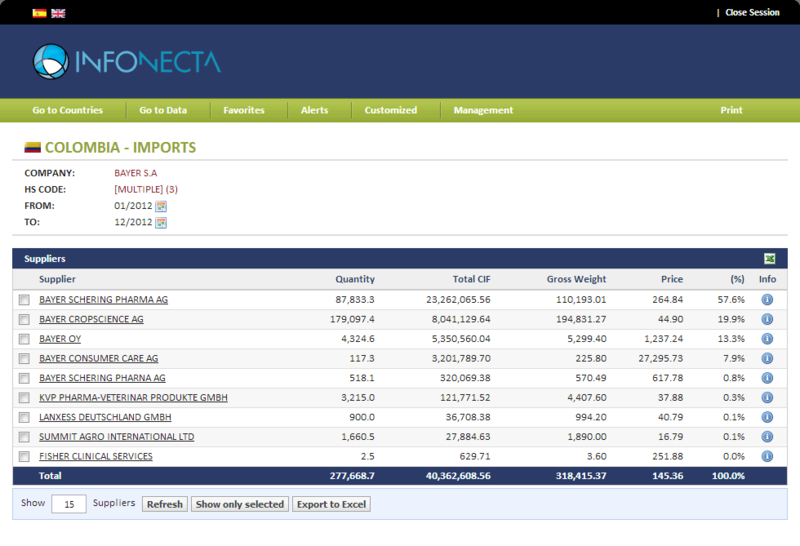 INFONECTA is a company engaged in providing statistical information related to Foreign Trade throughout a multiplicity of services granting the user a qualitative advantage. The company is commited to improve and expand its products in order to provide our current and future customers with the best available information in the most friendly fashion.